USA Vein Clinics (Forest Hills) - Book Appointment Online! USA Vein Clinics is the nation's only coast-to-coast vein clinic, that was named The Best Vein Center by Home Reporter, The Leader in Healthcare by Newsweek and Manhattan's Best by Our Town. 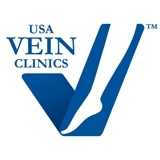 At USA Vein Clinics we treat varicose veins and symptoms like leg pain, swollen legs, spider veins, skin and leg ulcers, discoloration of skin, itching and burning. Varicose veins and leg pain are not just cosmetic problem, but can be a serious medical condition, that can lead to life-threatening complications, so don’t wait! I had some freedom - loved it! I'm impressed that things are being taken care of - swiftly. i have some small spider veins and I went to get an evaluation and see if anything could be done. After a sonogram, I was seen by Dr. Hurst who answered my questions and assured me there was nothing wrong and that I did not need any further treatment. I appreciated his honesty and professionalism. My visit to day help me to more understanding what is really going on with my veins and the function of them. This practice sees patients at 35 locations.